Since 1947, the Contemporary Art Society has gifted more than 30 works of art to Swindon Museum and Art Gallery. This exhibition showcases their support by displaying a selection of these works together. 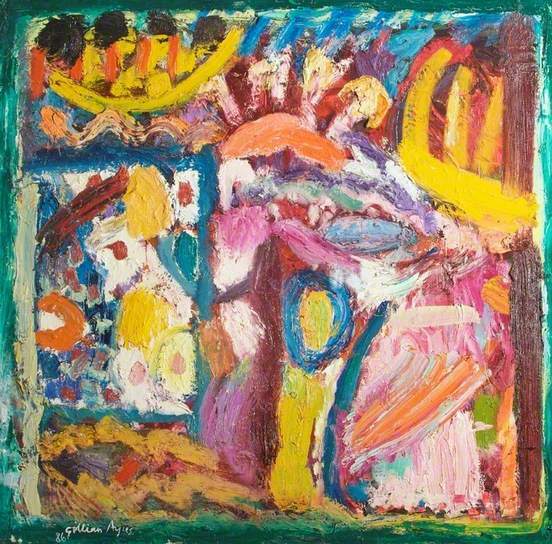 The exhibition features some of Swindon’s most significant abstract paintings by Gillian Ayres, Terry Frost and Roger Hilton, alongside important modernist works by Richard Hamilton and John Nash. It also includes watercolours and ceramics by emerging artists and given to Swindon in the 2010s. This exhibition continues our celebration of the individuals and organisations whose generosity and guidance have helped create the Swindon Collection of Modern British Art.